Q: Why do you think people love ancient Egypt? A: Most readers will agree--something magical happens the first time you hear about ancient Egypt. Maybe you see a mummy movie or visit a museum. Or, like me, a teacher hands you a mysterious worksheet at school. At that moment of discovery, a jolt grips you with intense curiosity. Q: Fascination draws you in? A: Exactly. Who were these people? What did their strange symbols mean? How did they create such intense history and what were their daily lives like? You wonder what it would be like to walk the streets of ancient Egypt and see what they saw. Q: What defining moment made you write about ancient Egypt? 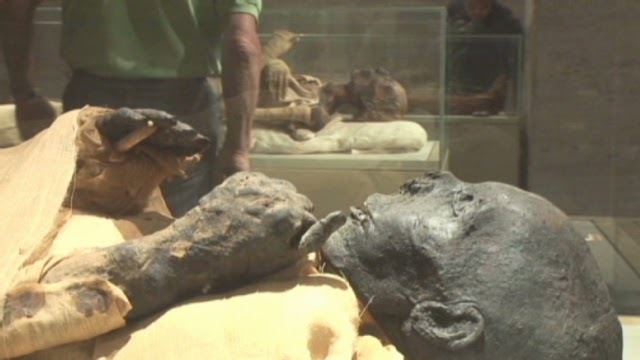 A: Once, I saw a mummy in a glass case whose fingers were poking through the wrappings. As I peered down, it dawned on me that those fingers, that hand, once did normal human things; tucked a child in at night, held another person's hand, brushed hair out of eyes on windy days. All thousands of years ago. Somehow, the emotion of the person was still there in that mummy. He wasn't just an artifact. He was a person with stories to tell. I decided then and there I wanted to give life to the ancient past in a way that was fun and approachable. Q: What message do you have for your readers? A: I know many of you are Egypt obsessed like me. Thanks for letting me share my love of ancient Egypt with you. Subscribe to my newsletter for book launch news, deals and other fun stuff.